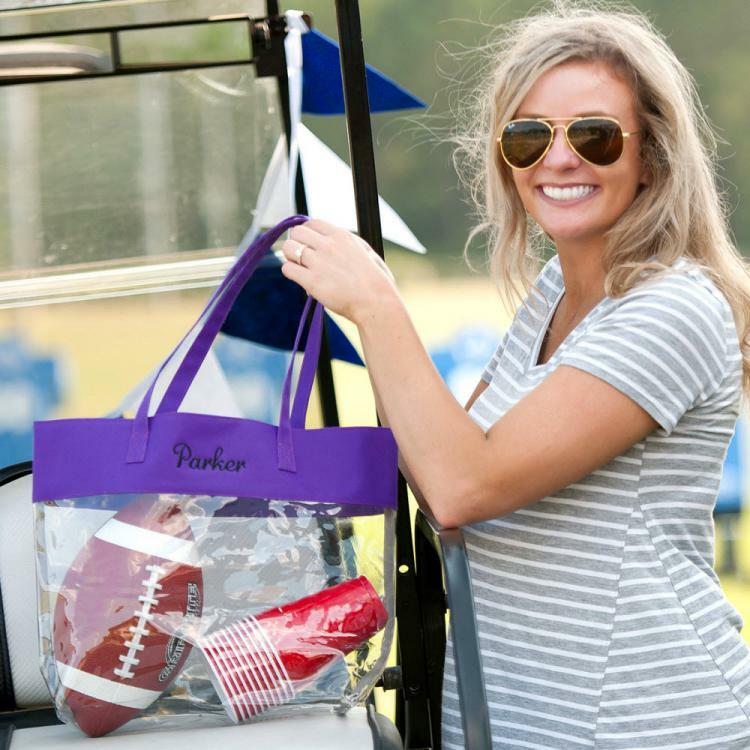 Our clear bags are the perfect tailgating tote to take in all the games or concerts. Yes, this clear bag meets all the standard requirements. Large enough to carry everything you normally put in a purse and small enough not to be cumbersome. Easy to wipe clean so you don't have to worry about rain or spills. Colorful trim in colors to match your team, your outfit, or your favorite color. Embroider with your favorite team's name, your name, monogram, or a fun phrase. Hurry and get yours now! You don't want to have to leave your purse and belongings at the gate. Most high schools and colleges are requiring these for all sporting events, so are many professional stadiums. Concerts venues require these too, and many other public access buildings will soon. Get ahead of the changes and have fun doing it in style! See ourMonogrammed Clear Bag Galleryand treat yourself to a variety so you're always ready go!